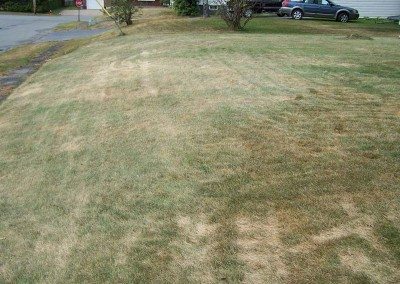 We get many calls each year about burns or tire tracks on the lawn on the lawn and usually it’s us or the mowing company who are the first to get blamed. Unfortunately, we are in most cases not at fault for these issues. 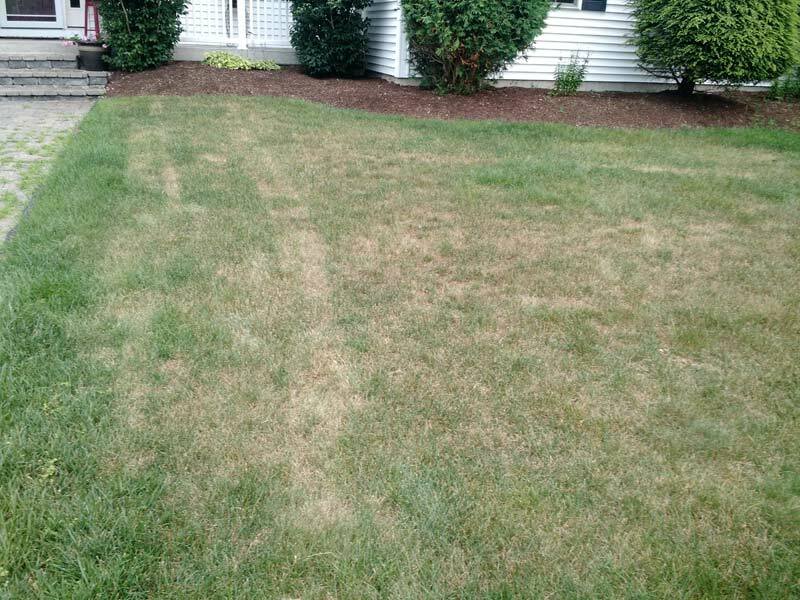 You can be assured that as soon as the temperatures outside go above 65 degrees problems will begin on your lawn. In most cases, they recover as soon as the weather becomes more favorable. There are usually 2 “MAIN” reasons for this. Drought stress & fungus. 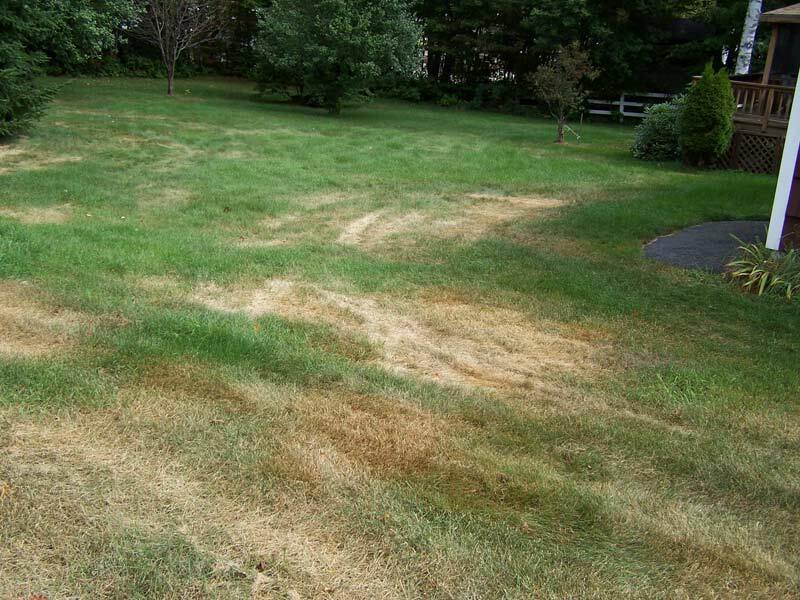 However, there are many other issues that can be affecting your lawn’s health. The primary issue we have noticed in the past few weeks is fungus. Red Thread and Ascochyta primarily. When we go from cool temperatures to high heat, humidity and fungus bloom and spread. 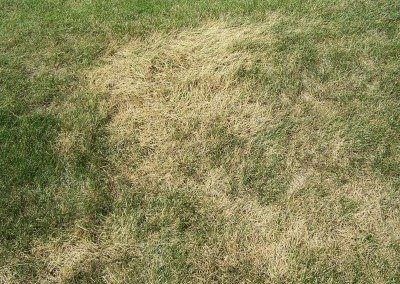 If you lawn becomes affected, then it basically means it has become sick. 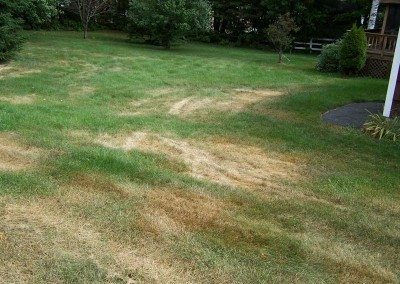 Yes, lawns get sick just like people do. The big question most folks have is “how do I fix it”. That is a great question and it usually depends upon the surrounding environment of the site and other factors. However, the simplest solution is let “Mother Nature do her job”. 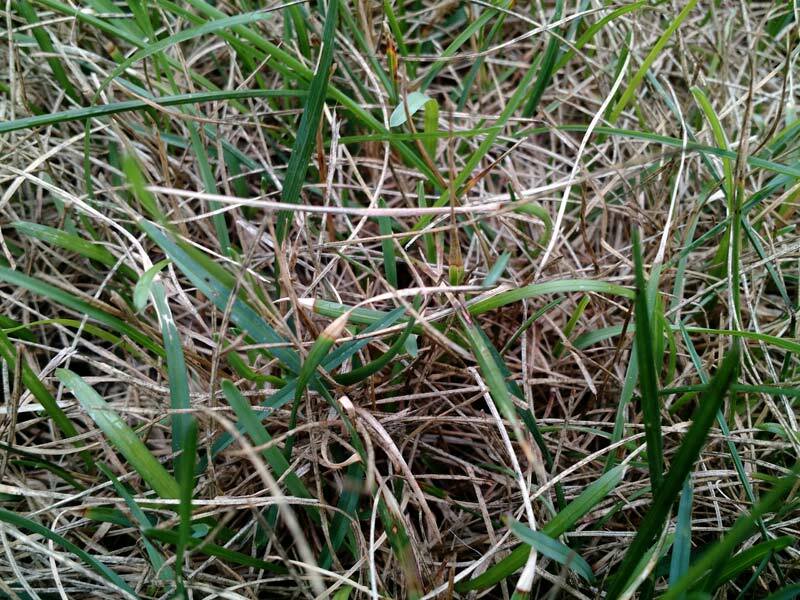 Just like we all have immune systems, grass plants have very good regenerative abilities. As soon as conditions are favorable, they will do their best to recover. However, proper care and maintenance on your part will be vital for this to take place. On to the topic at hand.. Leaf blight! 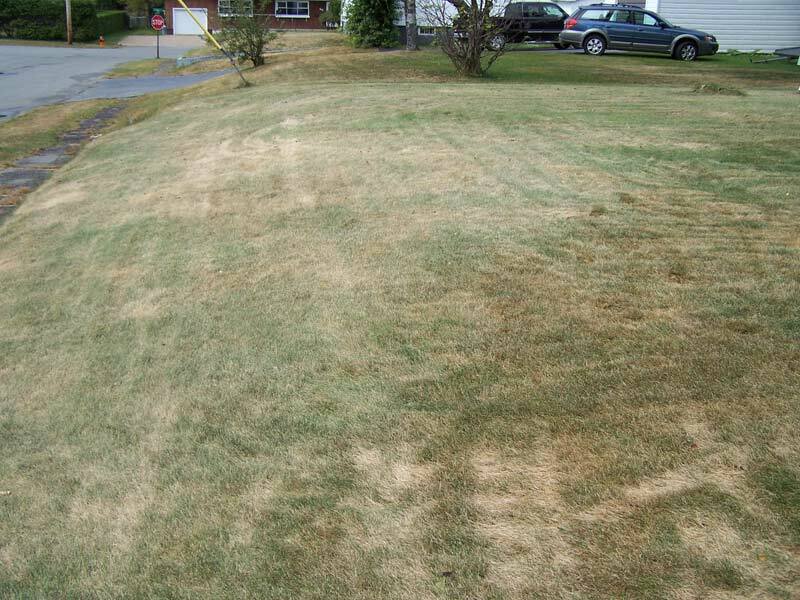 It can cause large irregular patches of turf to quickly turn straw brown in color and look as if it is dead. You might think that it is drought stress. The signs of damage can appear quickly or in some cases overnight. 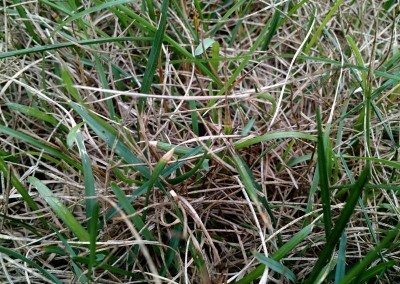 You can notice the disease from looking at the tips of the blades of grass and seeing a bleached appearance and long pinched/rolled tips. Some infected blades will have been affected in the entire blade while some will show discolored sections through the blade. This fungus is dispersed by water and mowing or other activities on the turf. Simply rolling tires of some piece of equipment will spread the fungus across the turf and further infect the leaf blades. 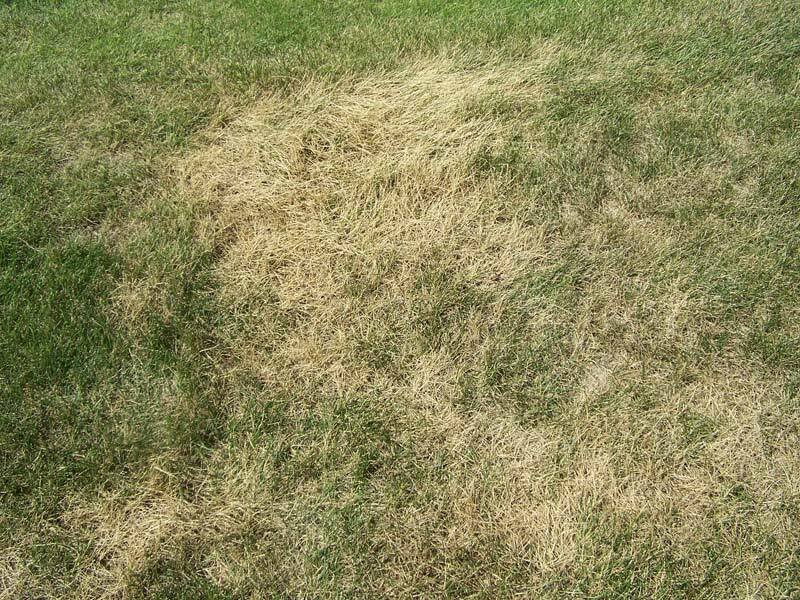 Watering and mowing are the primary factors in the spread of this disease. 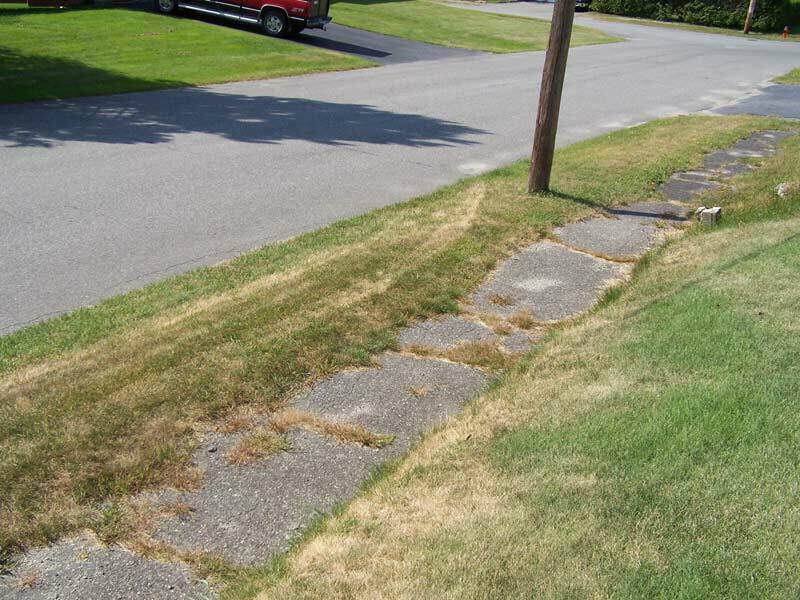 Dull mower blades further exacerbate the issue. Please review the attached photos to get an idea of what it can look like. Bleached upper leaves with a pinched appearance or curling of the blade. 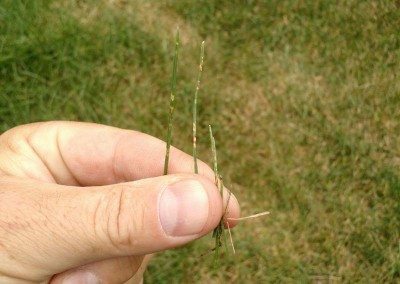 Usually found in lawns in sub divisions with grass that is less than 10 years old. Usually due to poor subsoil organic matter. Primarily found in full sun areas. 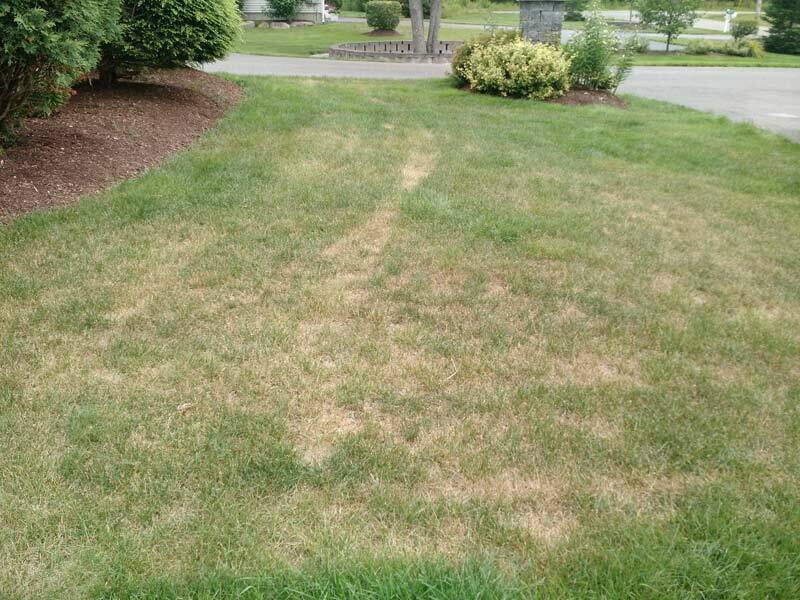 Wheel tracking or tire tracks noticed in the lawn should not be associated with fertilizer or chemical burn. Drought stressed patches sometimes tire marks are apparent either dramatically or subdued. 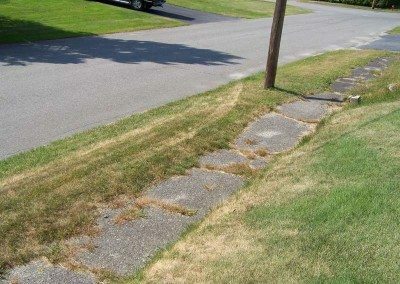 Stop mowing your lawn when it is dry and there is high heat and humidity! Wait for weather conditions to improve…….. Usually takes 2 – 4 weeks for recovery. 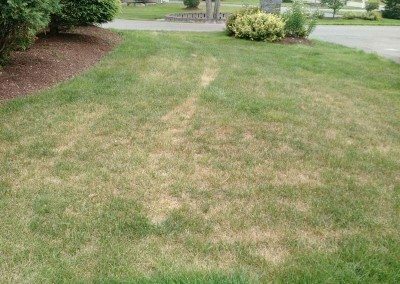 Hopefully the information above will give you a better perspective of what might be going on with your lawn this time of year. 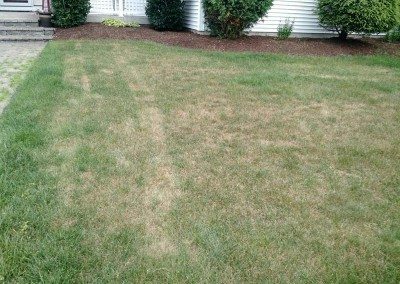 Keeping your lawn healthy with proper mowing & watering practices, fertility and other methods to improve the soil health is the best thing you can do for your lawn. Please let us know if you are a customer of ours and need help with diagnosis. 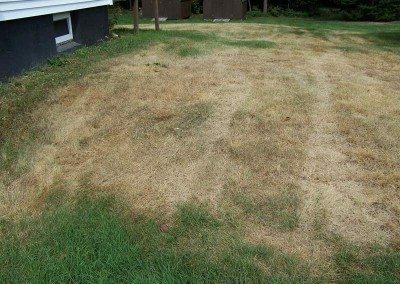 Remember our goal for your lawn is to feed it and help you battle the many stresses that can reduce the overall appearance. However, with our basic weed and feed program we are only visiting your property 4 times a year. Our technicians are trained in noticing issues but we leave it up to you to determine the level of attention and inputs. You can email photos of the weed to comments@www.gtlawnservice.com and we would be happy to diagnose it for you..